Joyful. Cool. Exciting. Fascinating. Happy. Epic. Unique. Amazing. 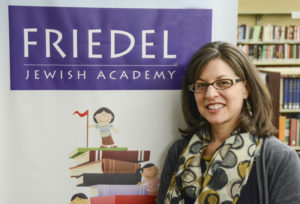 These are the words students at Friedel Jewish Academy use to describe school. 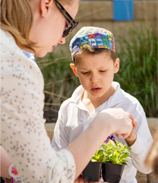 These are the words Friedel Jewish Academy strives for as we provide the educational foundation to develop inquisitive learners who confidently engage with the world. 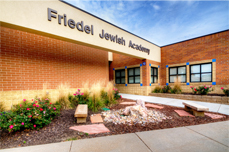 Friedel Jewish Academy is a private elementary school in Omaha for students in kindergarten through sixth grade. Our school boasts a 12:1 student to classroom teacher ratio in an educational environment with premier curricular materials, integrated technology, and resources given to teachers to make every lesson more meaningful to students. 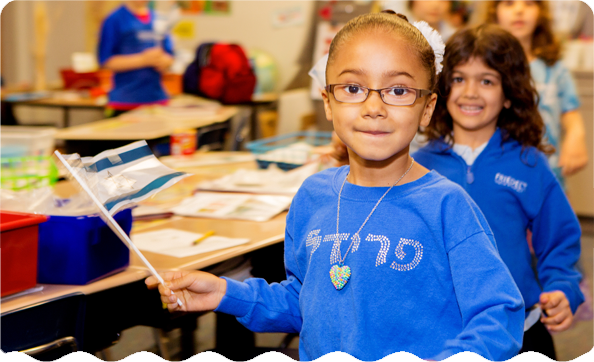 We give our students the benefit of a cross-curricular and internationally-renowned immersion language and Jewish studies program, plus art, music, swimming instruction and physical education. We seek out experiences beyond the classroom to enhance student learning: intergenerational activities, annual judged science fair, national speech contest, field trips, and visiting scholars- and artists-in-residence. Interested in your child saying that school is fascinating, amazing, joyful and cool? Give me a call to schedule a tour or request a tour online. There’s no better way to learn about all we have to offer than to see for yourself.